As the Mexican holiday Day of the Dead has become more and more popular in the United States, we also see the rise in the popularity of the Mexican art of sugar skulls. Images of sugar skulls are now found year-round on everything from t-shirts to book bags to phone cases. While relatively a new phenomenon north of the border, sugar skulls have been around in Mexico for centuries and were incorporated into a much more ancient celebration that predates the arrival of the Spanish. The original basis of the holiday called Día de Muertos or Día de los Muertos dates back possibly thousands of years and is rooted in the pre-Hispanic cultures of central and southern Mexico. 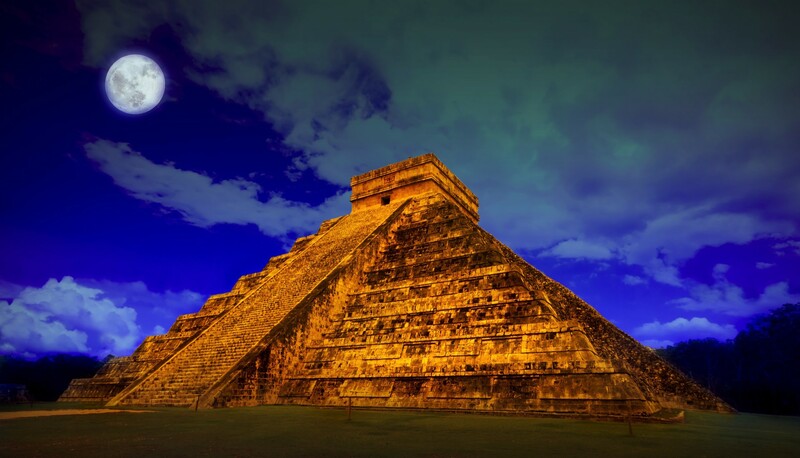 The Aztecs were the most dominant civilization in central Mexico when the Spanish first arrived and throughout their vast empire they honored the goddess Mictecacihuatl, informally known as “Lady Death” at the beginning of the summer. The celebrations included human sacrifice and individuals constructed altars to honor the dead primarily by giving offerings of skulls made of a mixture of corn meal and animal blood. The Spanish knew they could not wipe out these traditions entirely, so they moved the Lady Death celebration so that it aligned better with the Catholic calendar and thus the new Day of the Dead was born on All Souls Day and All Saints Day, the first and second of November, respectively. The more indigenous the community, the more of the older traditions were kept. The more European the community, the more traditionally Catholic the celebrations. This remains to this day throughout central and southern Mexico. It’s important to note how regional this holiday is. The largest states in Mexico – Sonora and Chihuahua – have no history of this holiday because the Aztec Empire did not extend that far north. Along with many other handcrafted items, sugar skulls play a key role in the celebration of the Day of the Dead holiday. The skulls, known as calaveras de azúcar in Spanish, are used primarily in two places, in the home on ofrendas and in the cemeteries. A few days before the holiday people start to build altars or ofrendas in their homes to honor those who have passed. The average ofrenda is pretty simple and includes some basic elements: a table cloth to make it nice, mementos of loved ones such as personal keepsakes and photos, religious iconography including statues and pictures of the saints or Virgin Mary, flowers, and of course, the sugar skulls. Depending on availability, the flowers on the altar are usually a Mexican variety of marigold, in the vernacular called cempasúchil, or any other flowers that are in season or on hand. 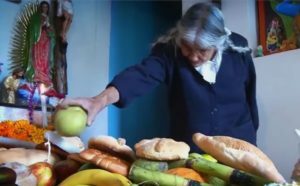 On the two days that make up the holiday incense is burned at the altar, usually made from the sap of the copal tree, and the incense combined with the smell of the marigolds is supposed to produce a mild “high” in the inhaler. The heavenly aroma also mixes with the sweet smell of the sugar skulls. Closer to the holiday, food is placed on the altar, usually the favorite foods of the person who has passed in addition to special foods prepared specifically for the holiday, such as pan de muerte or “dead bread.” All of this is done so that the deceased will feel welcome enough to return to earth on these few days to be with loved ones. At night, people take sugar skulls and other mementos along with candles and flowers to the cemeteries for all-night vigils that include drinking and singing. Graves are often elaborately decorated and celebrations sometime last until sunup. The custom of crafting shapes out of sugar comes from Mediterranean Europe and dates back hundreds of years before the Spanish even left for the New World, possibly originating in either Sicily or the Andalusia region of Spain. The name used for this type of sugar craft in Spanish is alfeñique, which is said to have an old Arabic origin meaning “cooked or pressed sugar.” There is no cooking involved in the making of Mexican sugar skulls, just mixing and molding. Traditionally, all one needed to make these skulls included water, sugar and egg whites, and a mold, usually made from wood, to sculpt the skulls in. Because of the fear of salmonella poisoning, in the United States people use meringue powder instead of raw eggs. The skulls made with egg whites always have a dull shine to them, unlike the meringue powder version which tend to look like just big blocks of sugar. Whether made with egg whites or meringue powder, the final product is as hard as stone, therefore, sugar skulls are not meant to be eaten. They are nice to look at and give off a sweet smell for the spirits. Sugar skulls are often elaborately decorated with various accoutrements from beads to feathers to seeds, held in place on the skull by royal icing. The name of a deceased person may sometimes be written on the top or back of the skull with this colorful permanent icing. Royal icing is a type of frosting like that which is used in gingerbread house making. It is a combination of meringue powder, confectioner’s sugar – also known as powdered sugar – and water. To color this icing a special paste dye is used. Regular over-the-counter food coloring will not work because it will not harden up the frosting. Colors can be blended to make some interesting tones. The final sugar skull creation may last a good decade or more. Plastic molds for sugar skulls of all shapes and sizes are readily available for sale at suenosimports.com along with various sugar skull supplies. Links will follow in the description. The specific recipes for the skulls and royal icing are also available at that site and in the show summary for this episode on mexicounexplained.com. Briefly here, the recipe for sugar skulls is very simple. Combine one teaspoon of meringue powder and 1 teaspoon of water for every cup of plain granulated sugar. Mix it all in a bowl – best with your hands – until the mixture takes on the feel of wet beach sand. Stuff the sugar mixture into the mold, pressing hard. Get a square piece of cardboard as big as the actual size of the mold and carefully flip the sugar skull onto the piece of cardboard. It takes about 5 to 6 hours for blank sugar skulls to dry but it’s safe to let them dry overnight. If it’s a humid day and you have no climate control it will take longer for them to dry. In cases of very high humidity you can put the skulls on a baking sheet and put them in the oven at the lowest possible setting for about 15 minutes to harden them. As mentioned before, the royal icing is decorative and will also be used as a sort of glue to affix pieces of two-sided skulls together and to secure things on the surface of the sugar skull, like sequins or feathers. Icing colored with paste dye, essentially is the paint used on the surface to decorate the calaveras. The recipe for the royal icing is easy as well. Take one pound of confectioner’s sugar, also known as powdered sugar, and mix with one quarter cup of meringue powder and one third cup of water. This is best to be mixed in a bowl with a large wooden spoon. It will take about ten minutes for the icing to peak, and after it does, store it in a plastic container with a lid. Do not put the icing in the refrigerator, ever. Separate the icing into smaller cups and add the different colors of the paste dye to each cup and mix. After the color is mixed, add the colorful frosting to disposable pastry bags. You will use these bags to draw on your sugar skull. The molds used to make sugar skulls can also be used to make edible chocolate skulls which are also very popular for Day of the Dead. A visitor to any marketplace in central or southern Mexico at that special time of year will see racks and stalls full of skeleton-themed sweets. Candy skulls are abundant and inexpensive. Sugar skulls have turned into a high art form. Some artists spend months working on their creations to exhibit in galleries and specialty shops, or to enter them into competitions throughout Mexico. One of the biggest festivals of Day of the Dead art and culture has been celebrated since 1989 in the city of Toluca, located in the central Mexican state of México. The Feria de Alfeñique takes up the last two weeks of October and features art competitions, theater performances, concerts, lectures and ofrenda exhibitions. Similar festivals are popping up on the American side of the border, but usually last an afternoon or two, and are found in cities with large Mexican-American and Mexican immigrant populations. With increased immigration and more Latino cultural awareness in the US, the Day of the Dead holiday is sure to grow over time and the prevalence of sugar skulls will likely increase.